Clay and limestone, a proof of quality. Planting density: 5000 vines plants per hectare. The grapes are harvested in September, at night, to prevent oxidation and color gain. Fermentation is separated by grape. This wine is elaborated from selected vineyards. This premium wine is produced in limited quantities. It comes from a selection of the best plots. The clay and limestone soils benefit from maritime influences to preserve beautiful acidities. The wine of the Rolle grapes (20%) are aged in oak barrels for four months on the lees, then blended with Syrah and Mourvèdre. An expressive nose revealing light aromas of red fruit and grapefruit. 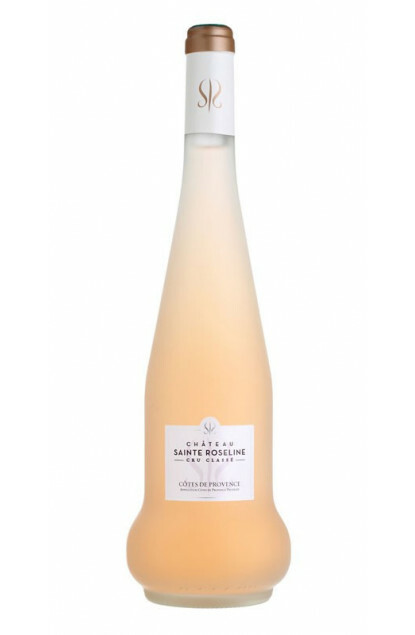 A privileged situation : 30 minutes from the Saint-Tropez bay and Cannes Croisette, the Verdon gorges or Aix-en-Provence, Château Roseline is one of the 18 classified Côte de Provence Crus, and spreads on a millennium territory. The rich supply from this soil led, in the middle of the 10th century, an hermit named ROUBAUD to settle there. Little by little, from a simple oratory was born an abbey that takes the name of Celle-Roubaud. Roseline, daughter to the Marquis of Villeneux, Lord of Les Arcs, was the Mother superior of the abbey from 1300 to 1329. In the 14th century, under the influence of the bishop of Fréjus, future John XXII, pope in Avignon, the site became one of Provence’s first vineyards. It kept is leading place since Henri de Rasque de Laval, previous owner, was the first President of the winegrowers union of Var. In 1994, Bernard Teillaud took the future of this wonderful estate into his hands with the intention to make it one of the gems of southern viticulture while turning it into an artistic destination. The abbey was completely renovated under the leadership of architect Jean-Michel Wilmotte, who was able to preserve its nobility. Bernard Teillaud asked him to redesign the interior of the Château without altering its historical features.